Interviewing for Journalists focuses on the central journalistic skill of how to ask the right questions in the right way. It is a practical and concise guide for all print and online journalists – professionals, students and trainees – who write news stories and features for newspapers, magazines and online publications. In the age of digital journalism, where computer-based research is easily available, this new edition seeks to emphasise the value of getting out there, engaging with people directly and building relationships to create original and meaningful media content. 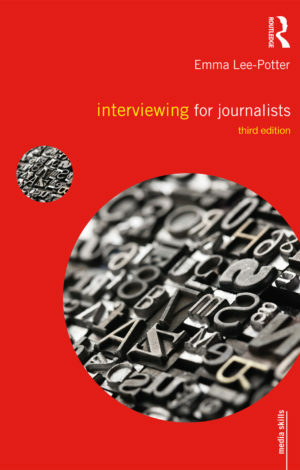 Interviewing for Journalists highlights the many different approaches to interviewing, from vox pops and press conferences to news interviews and in-depth profiles. It features interviews with some of the most successful journalists in the industry, including Camilla Long of The Sunday Times, Heidi Blake of BuzzFeed UK, Brian Viner of the Daily Mail and award-winning freelance writers Cole Moreton and Stephanie Rafanelli. It covers every stage of interviewing, such as research, fixing interviews, structuring questions, body language, how to get vivid quotes and how to handle challenging interviews.